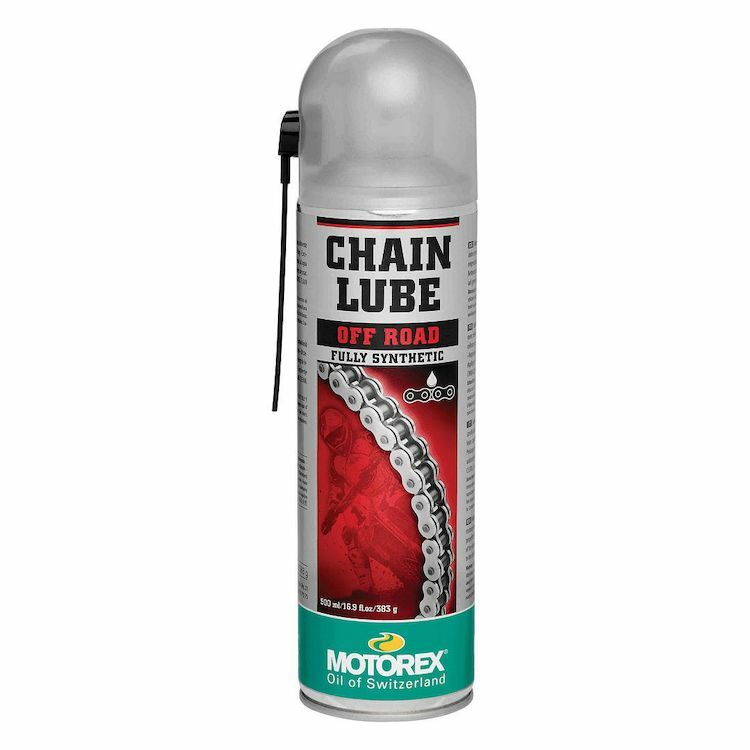 Motorex Offroad Chain Lube is a fully synthetic, wear-reducing lubricant tested and designed for use on X-ring and O-ring chains. Especially suited for Motocross, enduro and off-road use. Waterproof and resists spin off. KTM recommends Motorex products. I figure they might know what they're talking about. Love this stuff, along with their cleaner. Heard good reviews. Friends recommended product.